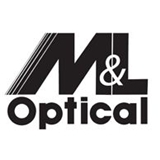 M&L Optical (Jamaica) - Book Appointment Online! M&L Optical has been serving the Queens community since 1949. We provide patients with comprehensive eyecare services from routine exams for corrective lenses to sophisticated eye health assessments using the latest technology. Your eyeglasses are made in our laboratory by our expert opticians with the most up-to-date equipment in the industry. We offer same-day service and our experienced team of professionals guarantees a correct and accurate prescription.